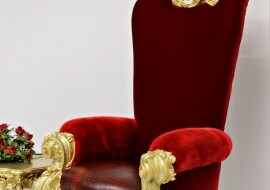 RE SOLE THRONE by ORSITALIA: bespoke wooden armchairs and loveseats with high and ergonomic backrest, in Contemporary Baroque Style, 100% Italian production of Brianza Area. 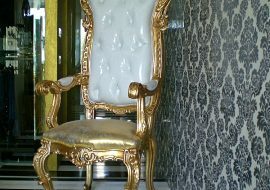 Orsitalia give wide choice of customization for wood finish: golden or silvered, white or ivory lacquered, white chalk, total black glossy or matt and full colored thrones with all RAL colors. 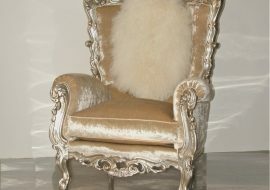 Re Sole is available as armchair with high backrest or as little sofa with high backrest and both are very comfortable. 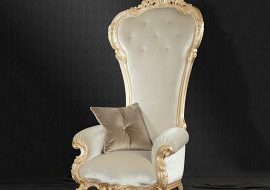 Orsiitalia tailor made classic collection of thrones Re Sole with velvet or leather or fake fur or fake leather in classic colors or fashion coulors. 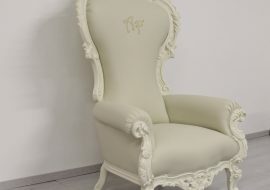 Also the handmade upholstery can be customized by ORSITALIA with special tufting on the backrest using Swarovski or jewel buttons or metal studs or with loinrest. 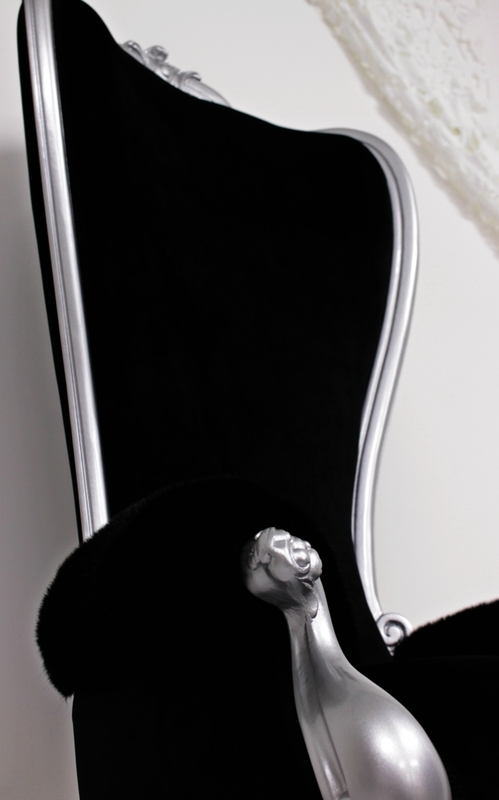 Orsitalia can print with little Swarovsky crystals yr name or company’s logo or can embroider it. 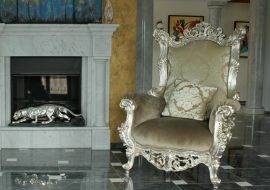 Re Sole contemporary collection is suitable for any environment to give a touch of elegance and regality, even for public use thanks to fire resistant textile offered by Orsiitalia, like: the hall or suite of a hotel , the palatial entrance to a private villa, a wedding restaurant, your office. 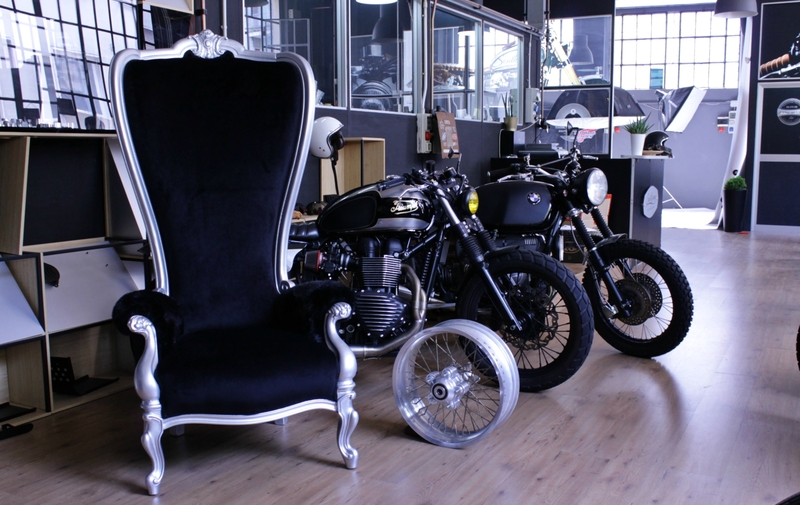 Orsitalia furnishings are designed to last a long time. 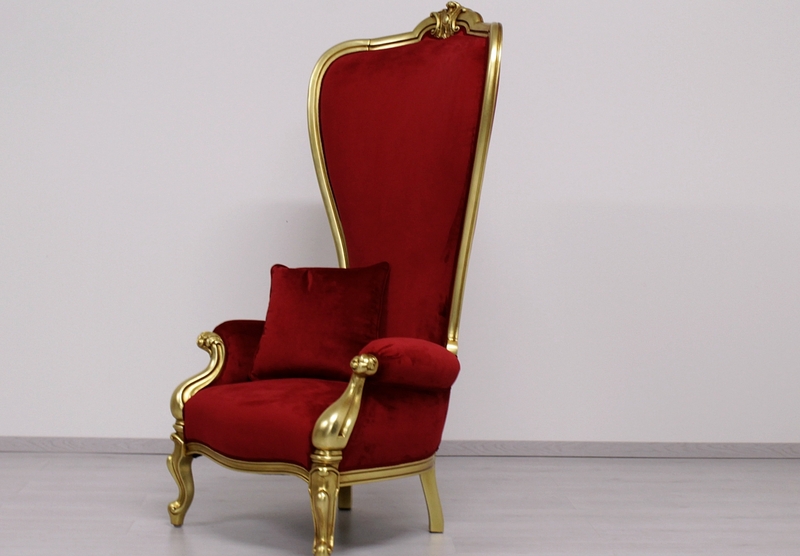 Throne Armchair: W. 85 x D. 95 x H. 160 cm. 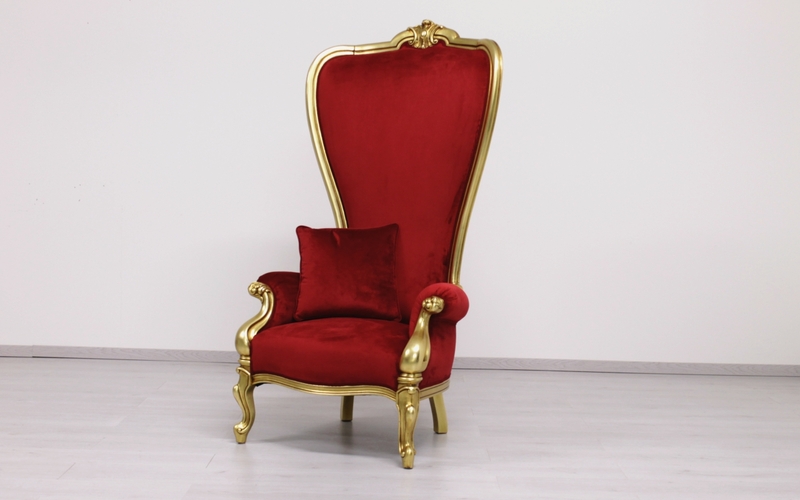 Throne Loveseat: L. 145 x D. 100 X h. 160 cm. 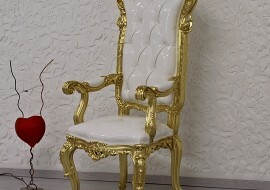 Wood finishing: wide range for custom-made. You can keep the frame also in natural wood. Textile maintenance: according to customized fabric chosen. All cleaning istructions and technical details can be seen in our website.